According to the Alzheimer’s Association, an estimated 5.7 million Americans of all ages are living with Alzheimer's dementia. One in 10 people age 65 and older (10%) has Alzheimer's dementia and the disease is the 6th leading cause of death in the United States. According to recent statistics, Alzheimer’s and other dementias cost the nation $277 billion in 2018. It is a progressive disease that worsens over time. 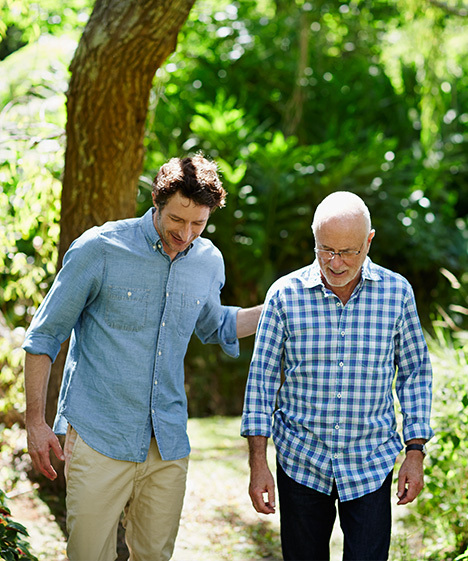 Eventually, people with Alzheimer’s can lose the ability to carry on a conversation and respond to their environment. Researchers believe there is not a single cause of Alzheimer's disease. The disease likely develops from multiple factors, such as genetics, lifestyle and environment. There is no cure for Alzheimer’s disease, but with a growing ageing population, it is at the forefront of medical research. Over 60% of people with Alzheimer’s disease or other dementias will eventually wander from home or get lost – even in a familiar place. Our vision is to ensure every person affected by serious conditions like Alzheimer’s and dementia have a MedicAlert ID and membership. Make MedicAlert part of your life-saving team today. 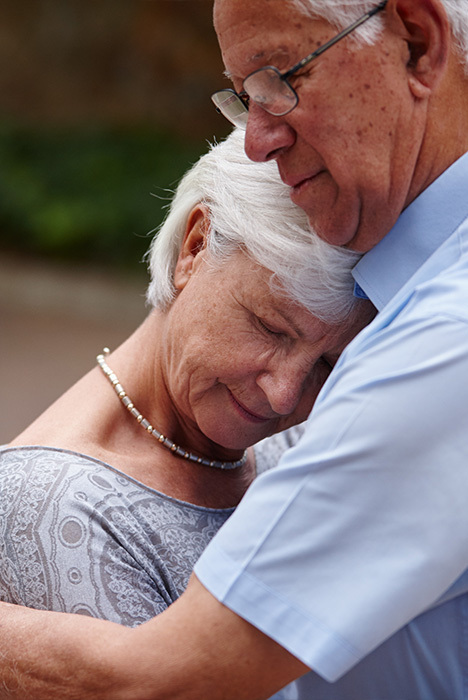 16.1 million Americans provide unpaid care for people with Alzheimer’s or other dementias. These caregivers provided an estimated 18.4 billion hours of care valued at over $232 billion. Caring for a person living with Alzheimer’s or dementia often requires a team of people. Caregivers play an important role in keeping people with memory-loss safe. My mother Jane is now 86 years old and has been living with Alzheimer’s for 15 years. She and my father Tom continue to enjoy living an active lifestyle involving a weekly routine of going to the gym, spending time with family and traveling several times per year. Soon after my mom was diagnosed with Alzheimer’s, my dad made the decision to enroll her as a MedicAlert member due to her frequent tendency to wander. Last February, they departed on what I believe was their tenth cruise to Mexico. While ported in downtown Puerto Vallerta; my dad became distracted for a few moments, turning his attention away from my mom. In the meantime, she boarded a bus that was next to them. When he turned around, she was gone. The bus traveled for 40 miles into a very small town in Mexico; where she quickly became very unaware of her surroundings. A Good Samaritan soon realized my mom was disoriented and immediately contacted the police department. Fortunately, they recognized her MedicAlert Alzheimer's ID bracelet and contacted a MedicAlert operator. The operator contacted me immediately. I was then able to contact the cruise ship, and they in turn sent a representative to pick up my mom. I thankfully was also able to notify the cruise ship that my dad was looking for her, and if he returned to the ship, they should let him know she was on her way. All of these events occurred over a three-hour period. Had my mother not had her MedicAlert ID bracelet on, I have no doubt that my parents would never have made it back to the ship on time. The thought of my mother wandering around in a strange city, and in a foreign country is terrifying and gives me nightmares. I cannot bring myself to think what could have happened to them had MedicAlert not been there for us. The operator was not only compassionate, responsive, and very knowledgeable; she also kept in touch with me until she knew the situation was resolved and my parents were safely reunited on the ship. Thank you, thank you, thank you MedicAlert! Two years ago, my dad wandered off for the first time since being diagnosed with Alzheimer's Disease. He left the house in the middle of the night while my mom was still sleeping. Thankfully, he was wearing his MedicAlert bracelet, and was safely reunited with my mom within about an hour of leaving the house. He is 68 years old and was diagnosed with Alzheimer’s eight years ago. Over the past few years, the disease has slowly progressed, and he now needs to have someone with him at all times. This past Christmas, my wife and I decided to take our two teenage daughters along with my parents to our cabin to enjoy some relaxing time away. During our short getaway to the mountains, we experienced another frightening event when my dad wandered off yet again. One night while at the cabin, we decided to visit by the fireplace on the back deck. My dad was tired so he we thought it best for him to stay inside and rest. About 45 minutes later, my wife went inside to check on him. When she didn’t see him in the room, she immediately began to check the cabin. Within moments, we realized we were reliving the frightening event that had happened not long before. We called 911 and explained his situation. It was cold and there was fresh snow on the ground from the snowfall earlier that day, and we knew he wasn’t dressed to be outside in the 30-degree weather. As we drove around for a bit, the only light we had was that from our headlights, and the light coming from inside occupied cabins. After getting about a mile up the road, we received a call from MedicAlert. They first told us that Dad was okay and unharmed. They then let us know the address to where he was. We were told that a man rolling his trash cans down the driveway noticed dad walking by. We don’t know exactly when he left our cabin, but in that short period of time, he had passed 3 cabins while wandering up the street. The Good Samaritan figured something was wrong when seeing an older man walking at night in the snow wearing only slippers, flannel pajama pants and a t-shirt. My dad had become disoriented and didn’t know where he was. The neighbor had brought him in his home and called MedicAlert. If not for his bracelet, I can’t imagine what could have happened to my dad if he had continued wandering in the freezing weather.